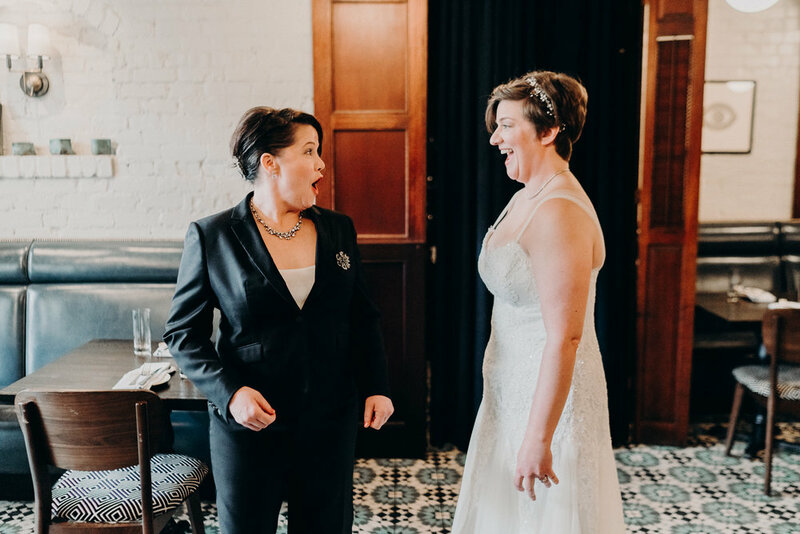 When Andrea and Emily happened to sit at the same table of a lawyer conference, who knew that they would hit it off like long-lost best friends? 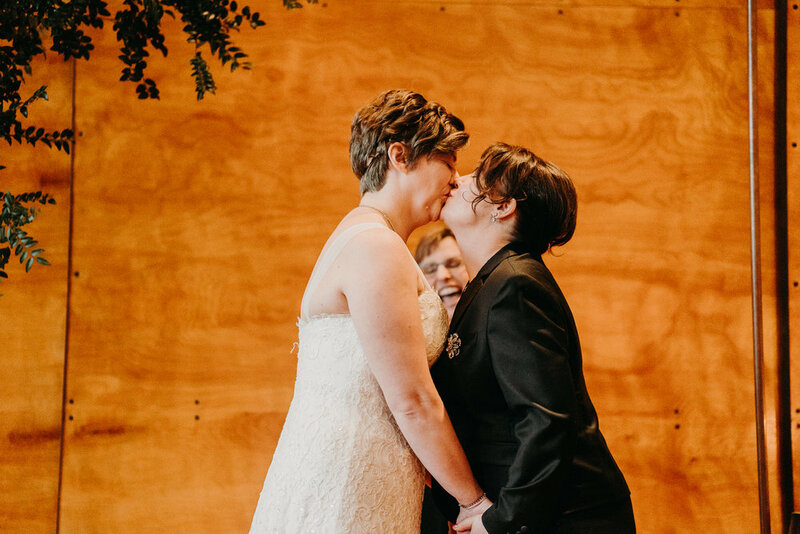 Their peers even asked them if they knew each other prior. 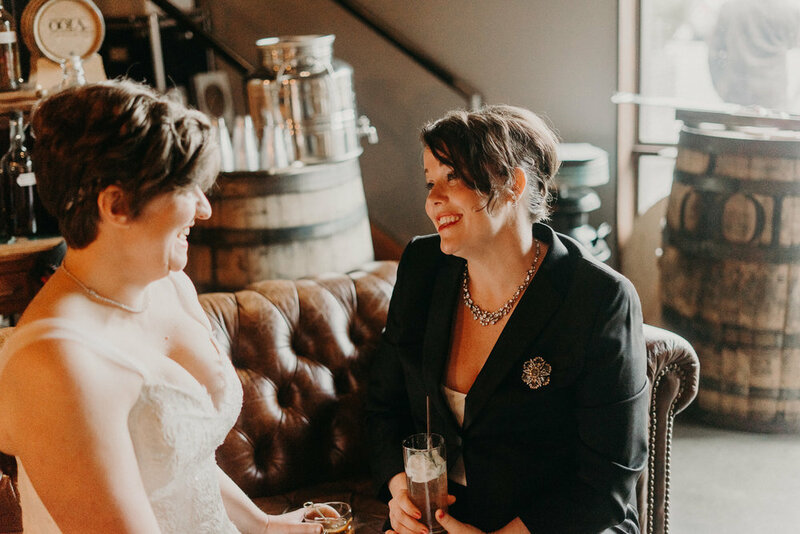 When a connection and bond starts off like that, you can be sure something special was about to brew. 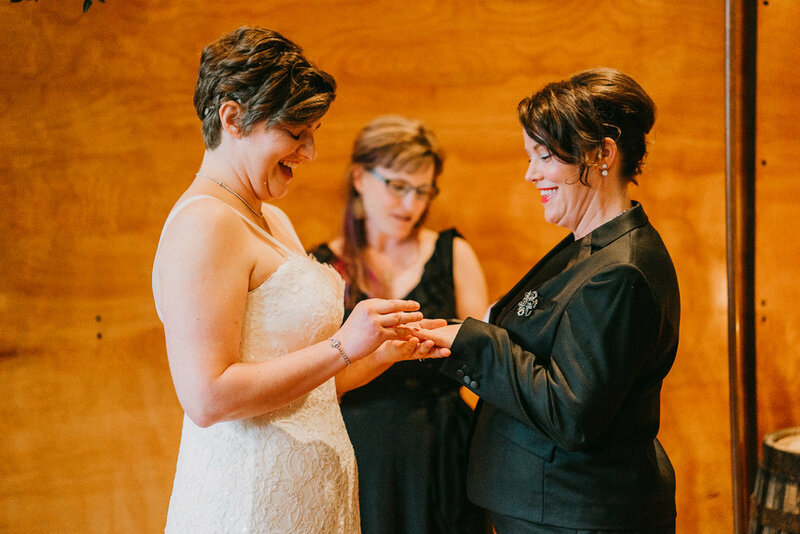 After many years of laughing, traveling and raising fur babies (cats) together, Andrea & Emily tied the knot on paper in 2016. 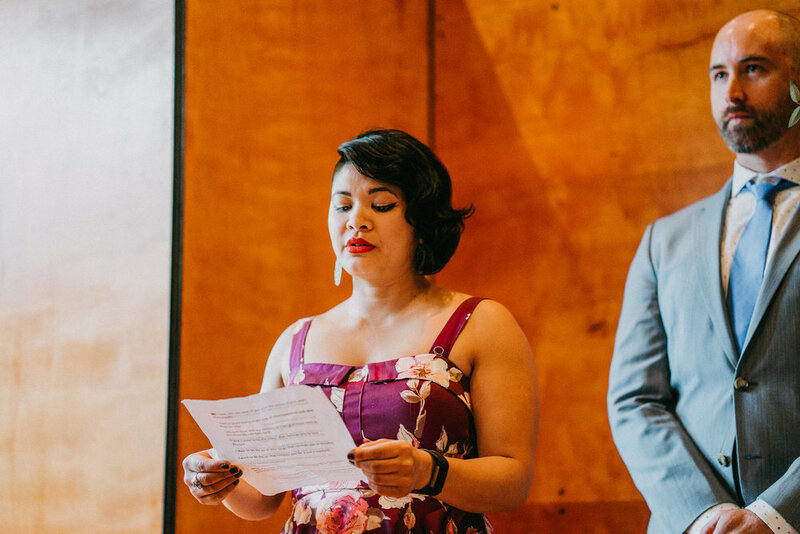 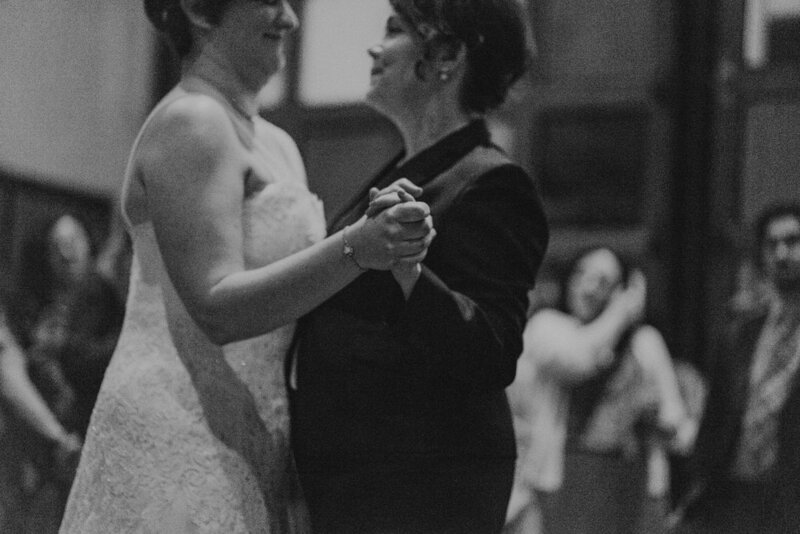 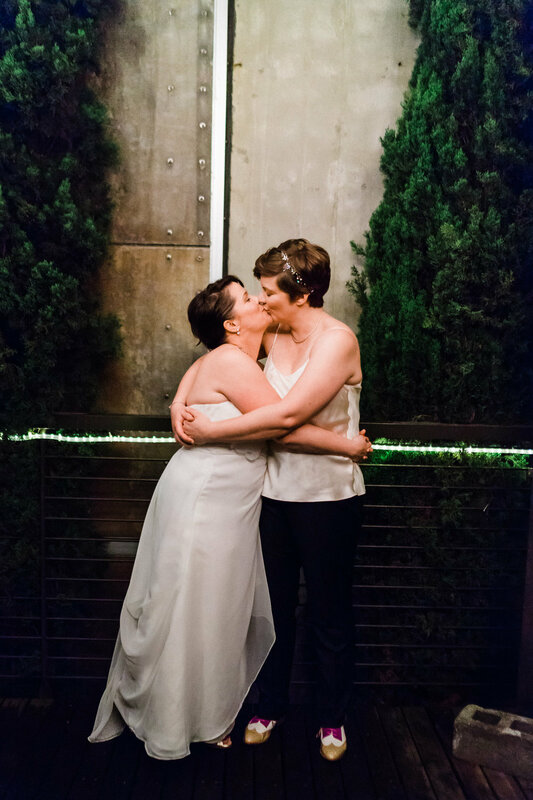 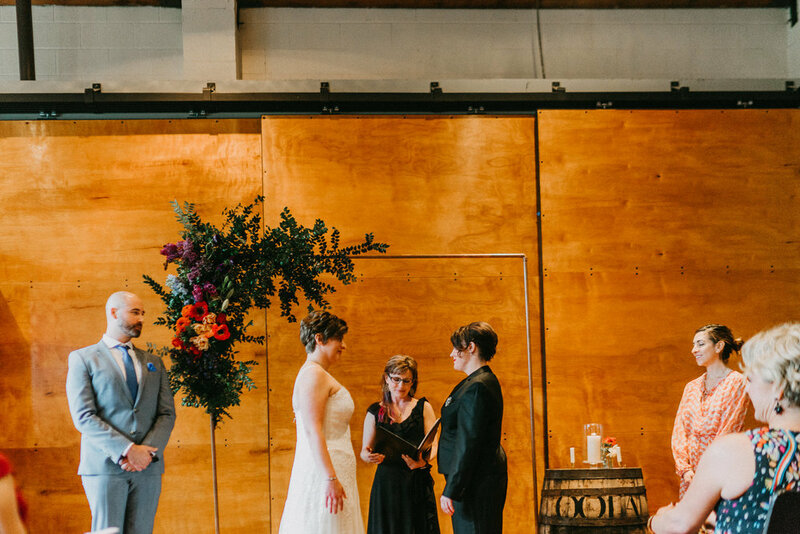 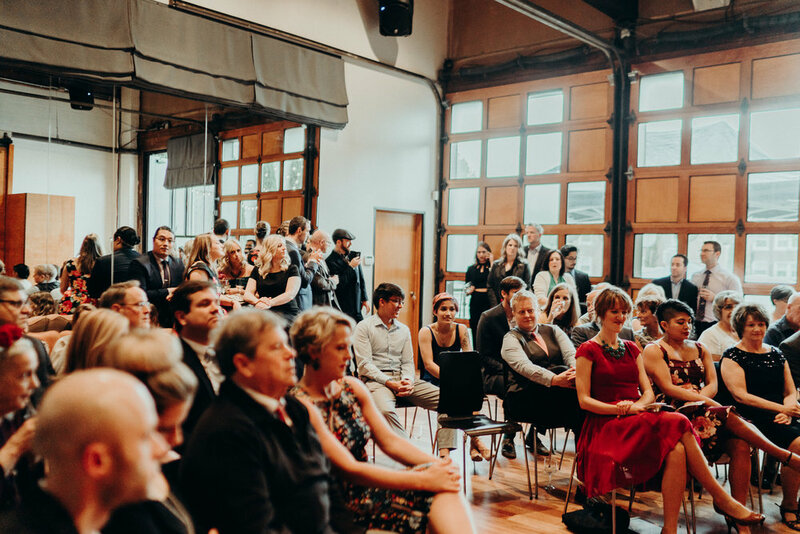 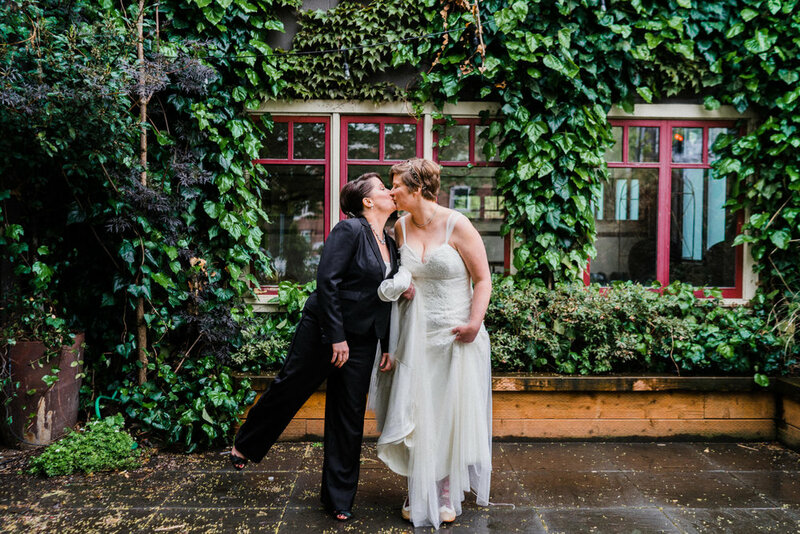 Once life settled down a bit, they held a wedding ceremony and reception at 10 Degrees in Seattle, Washington. 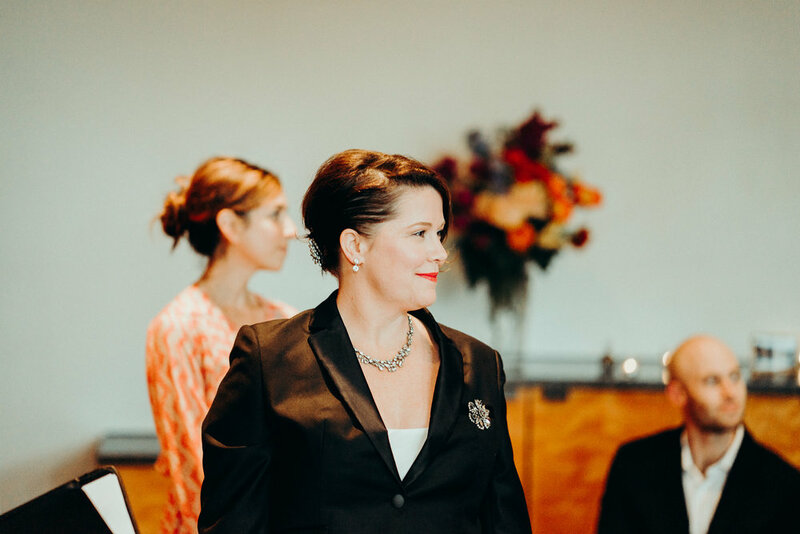 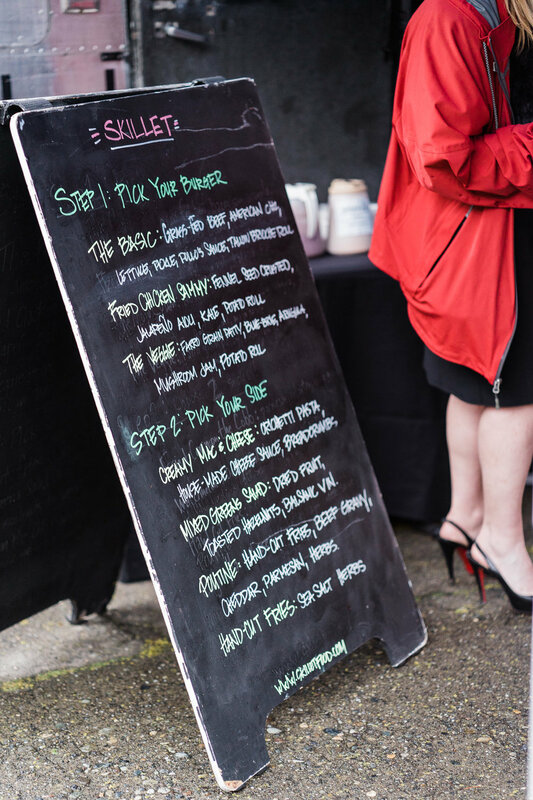 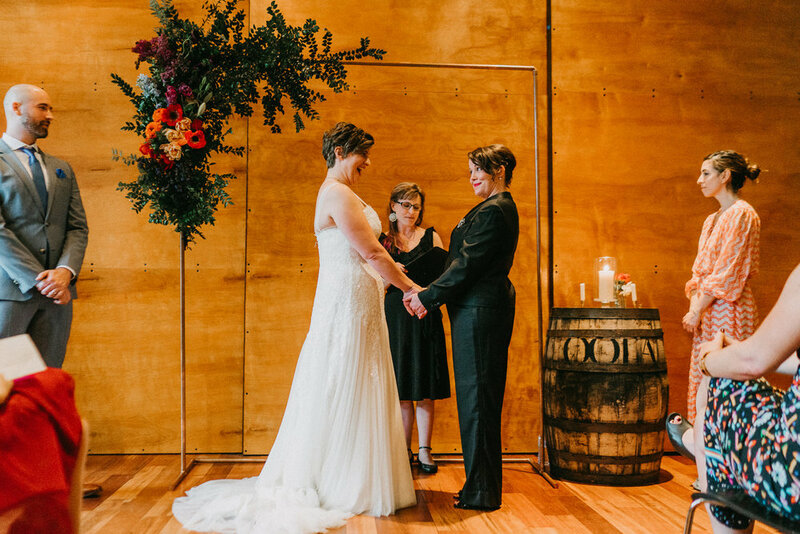 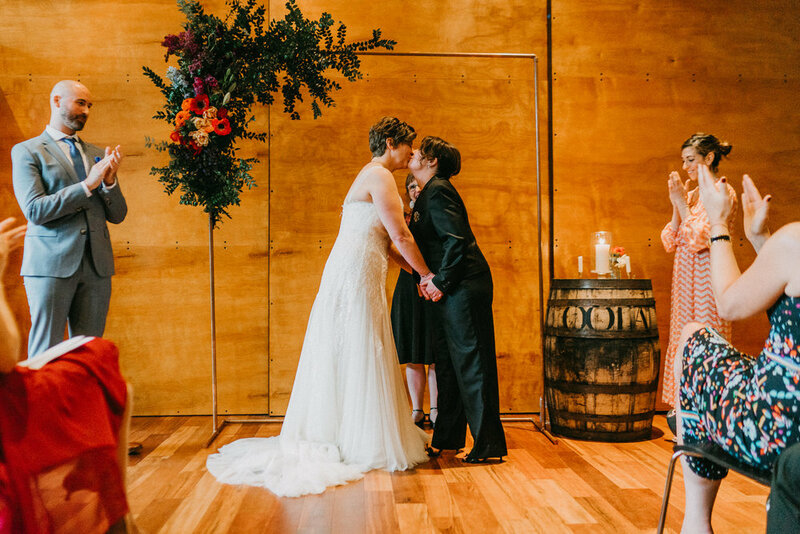 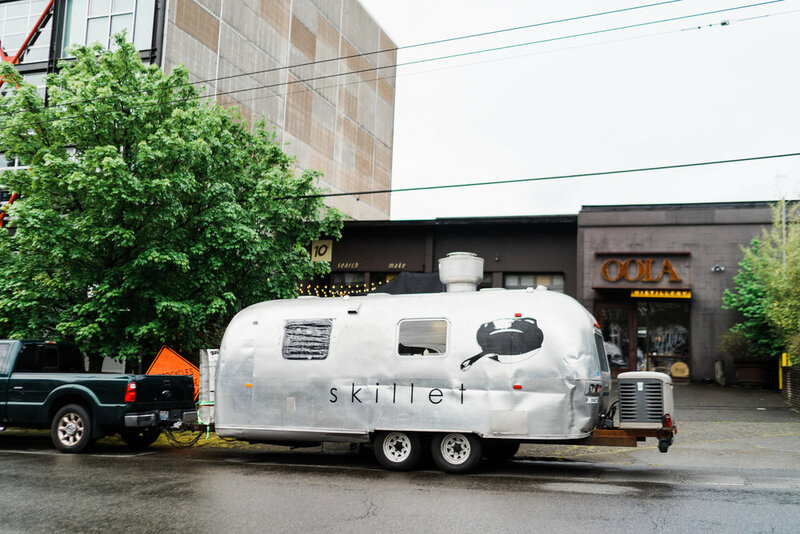 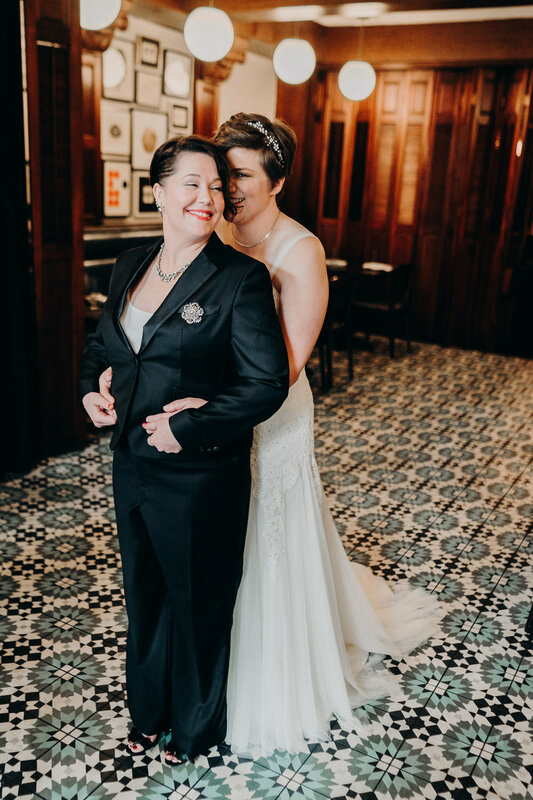 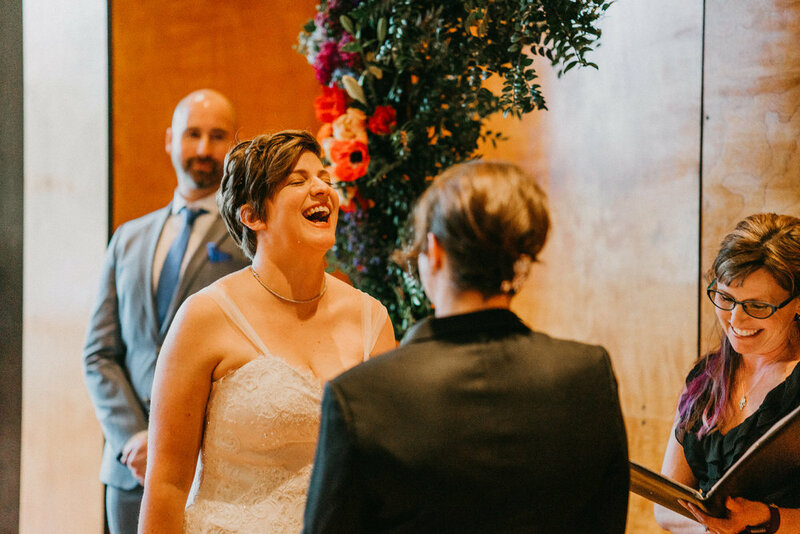 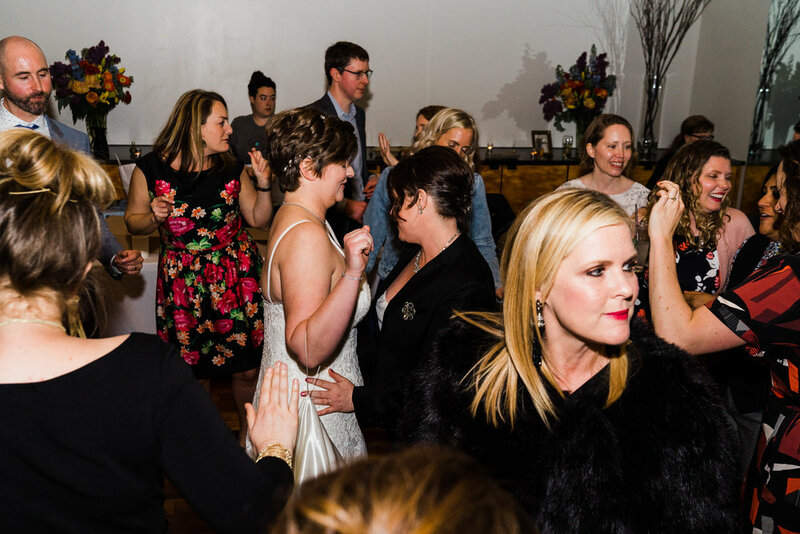 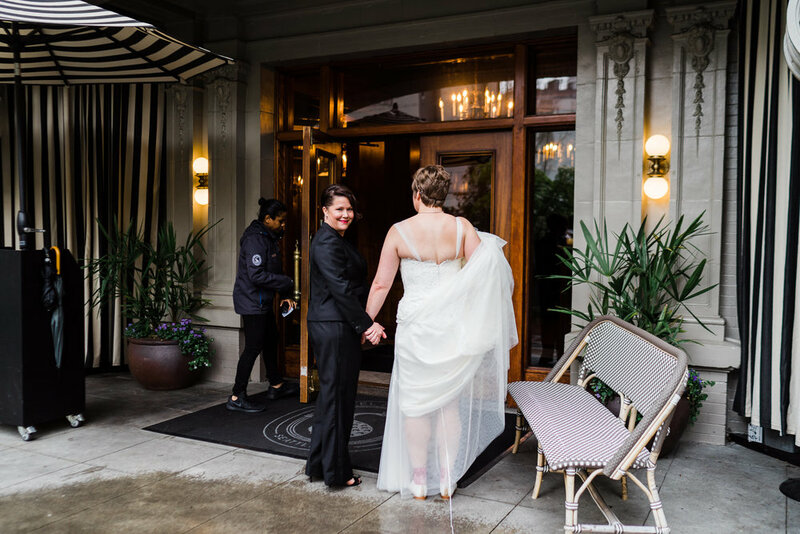 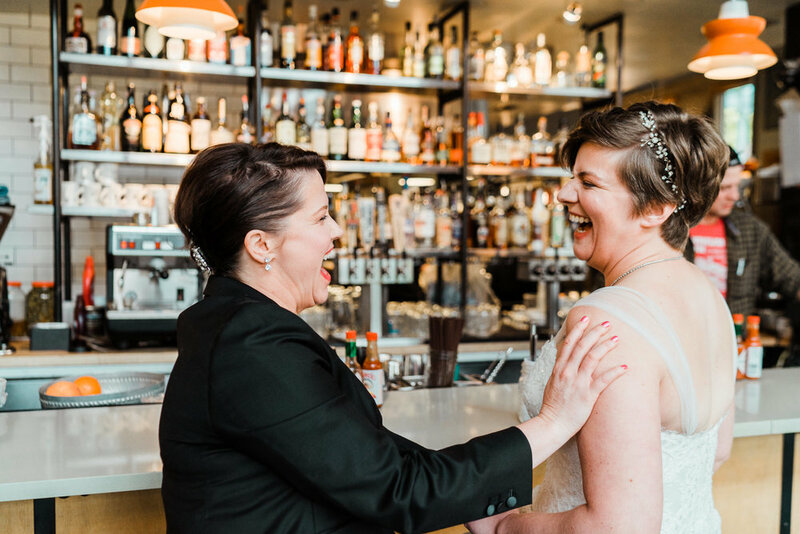 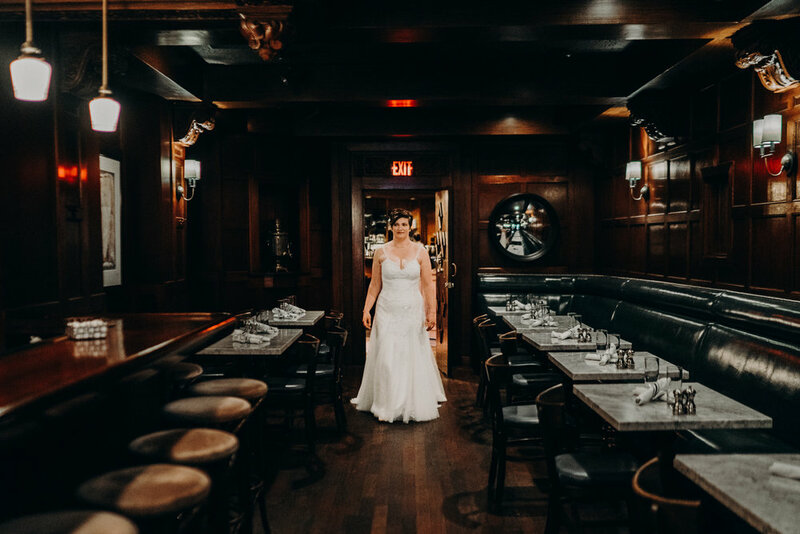 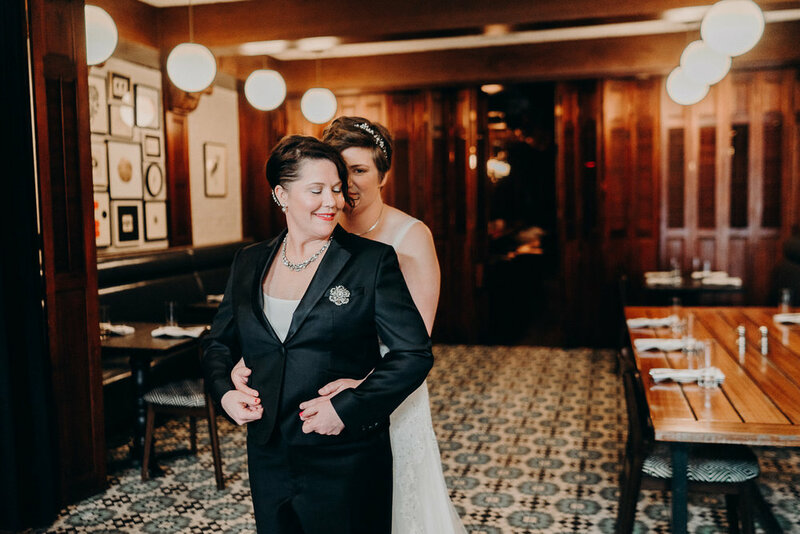 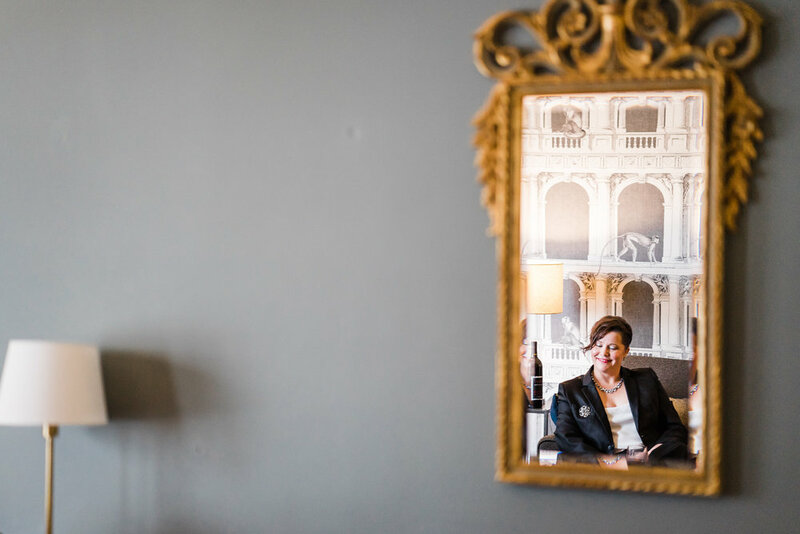 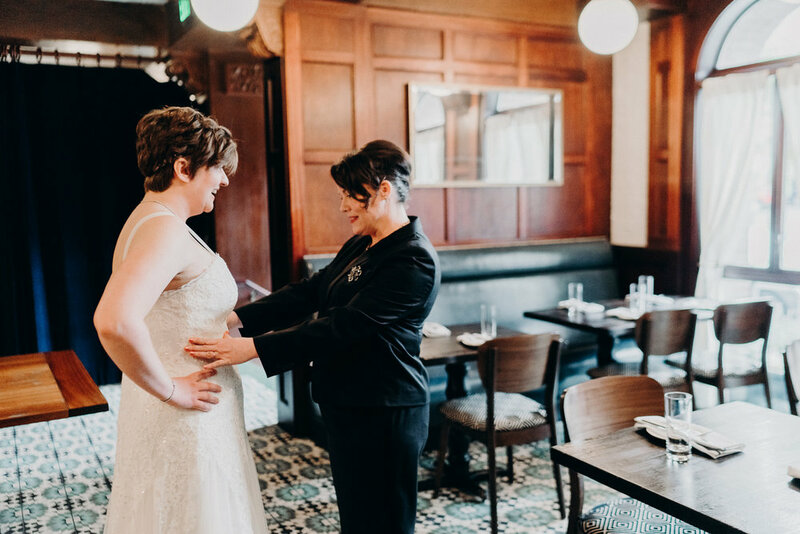 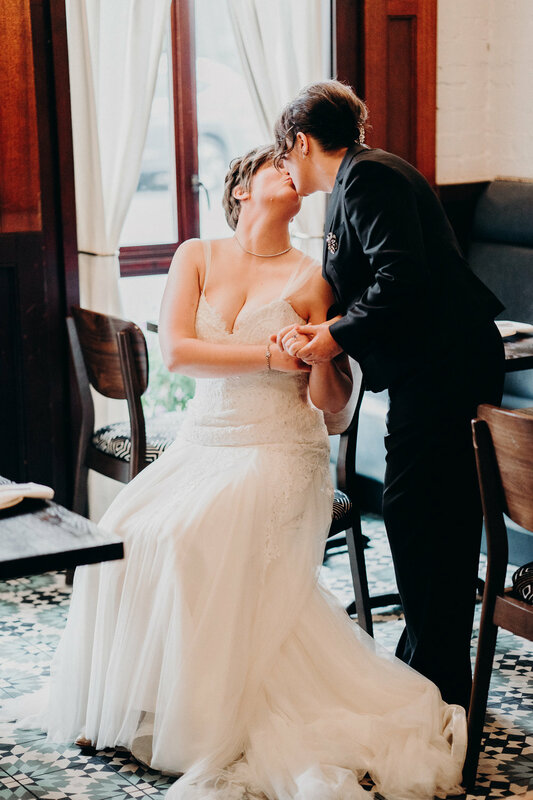 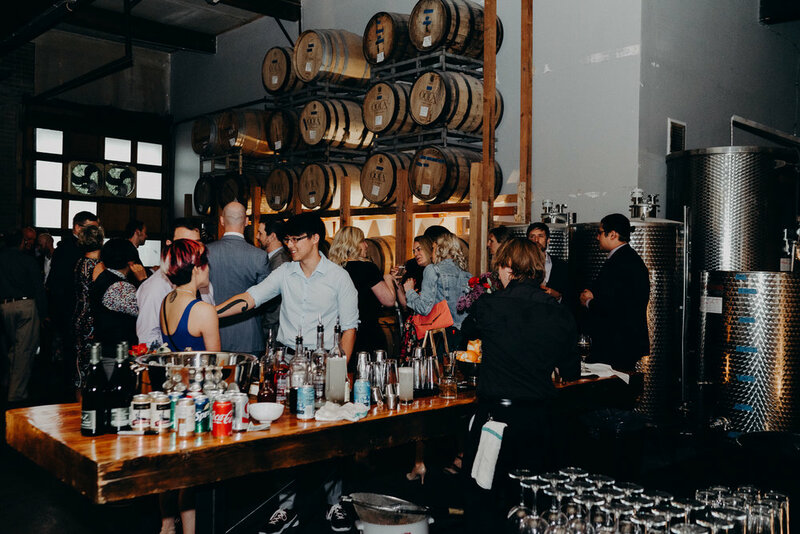 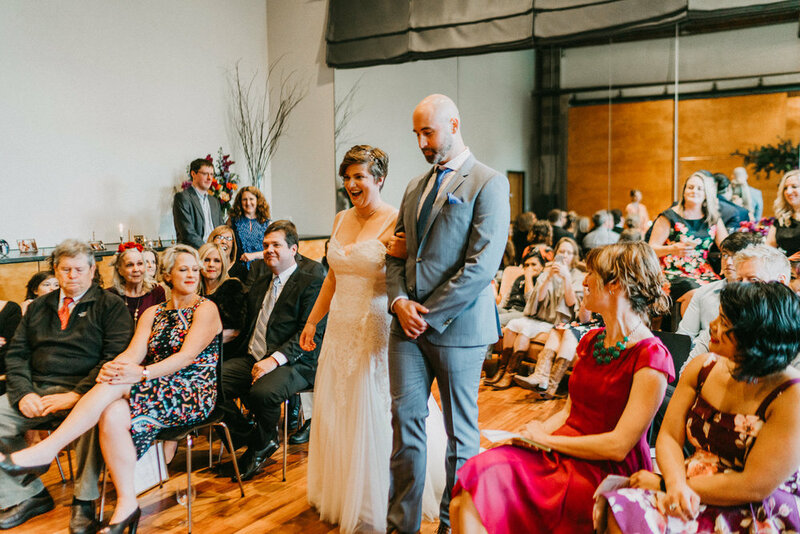 They incorporated little elements into their marriage celebration with drinks by OOLA Distillery, food from Skillet Diner where they spent many dates after a hard day's work and Molly Moon's Handmade Ice Cream for those weekend dates. 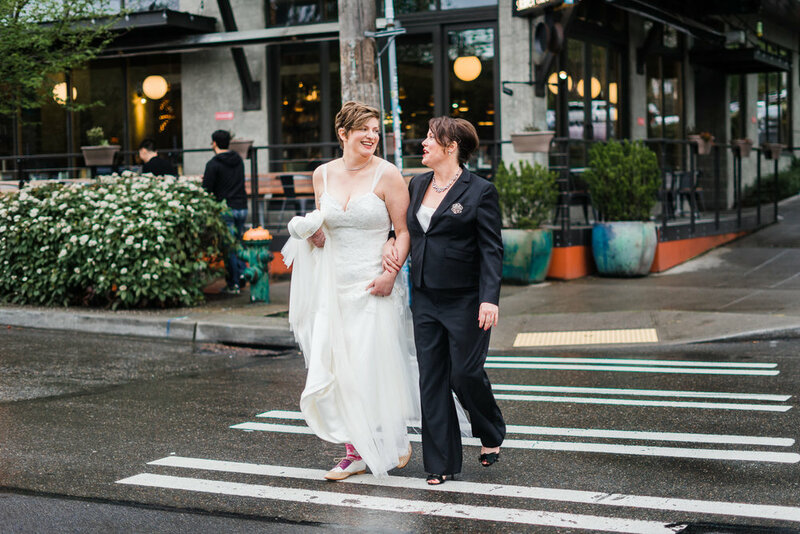 I forget exactly how long Andrea & Emily have been together (6 years? 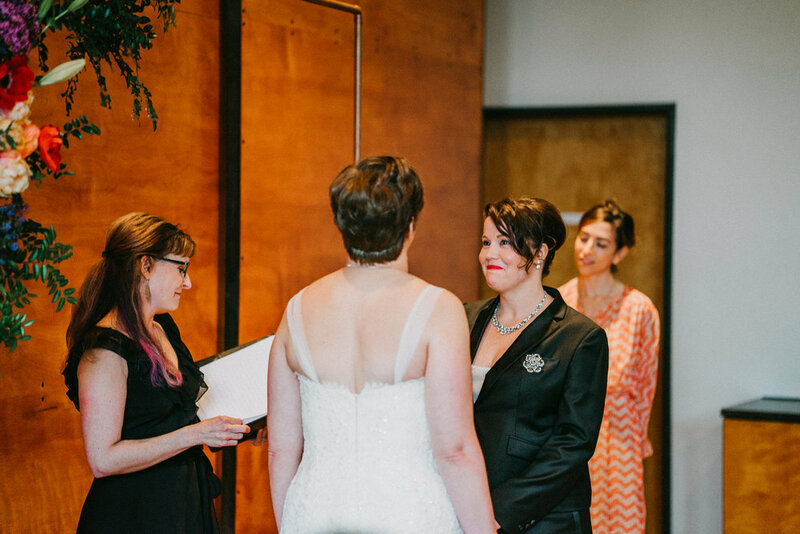 ), but one thing I know for sureis that the way Emily looks at Andrea is relationship goals. 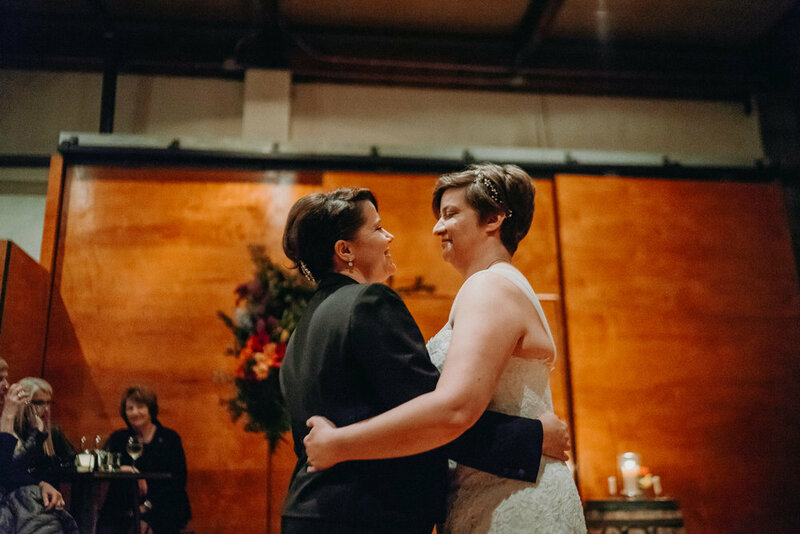 Doesn't matter what is going on in the world around them - it could be crashing and burning down, yet Emily will only have eyes for Andrea, and a smile that could outshine the darkness. 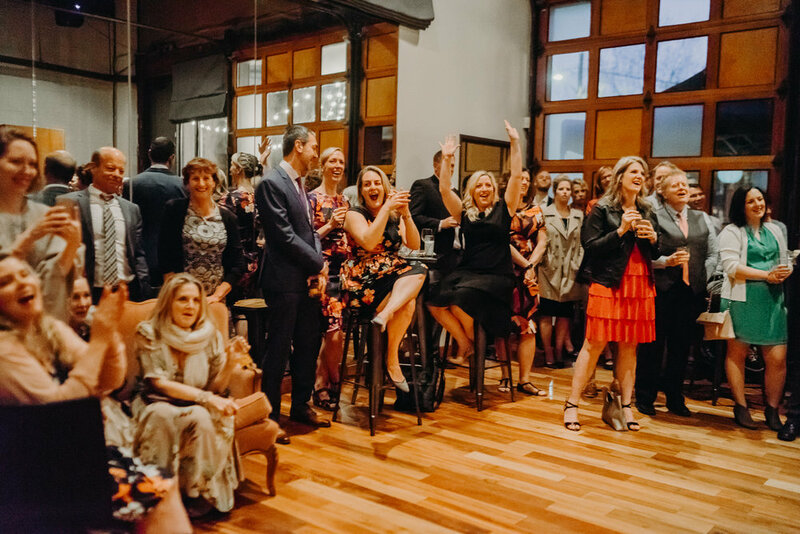 Check out the photos and see for yourself!